Our Model 1100WS Wrist Supports will not stretch and have an extra wide 2" strap for maximum wrist support. The 1/4" thick neoprene supports are 2 1/2" wide and designed for superb comfort and support. Made in the USA. Sold in pairs. 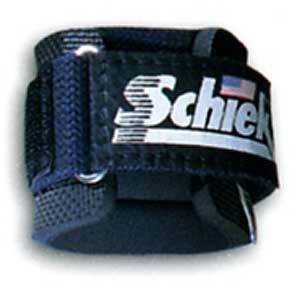 Order your Schiek Wrist Supports Model 1100-WS from FitnessZone.com today!